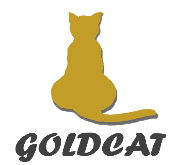 It all started when GOLDCAT helped various orchestras and music students to transcribe their favorite music into music scores. Since then, we have marched into our 10th year into the music transcription business. Through these years, GOLDCAT has also developed the skill of translating lyrics into different languages. The language translation services was then expanded into a customized service for different clients. We translate lyrics, subtitles, business documents, contracts and many else that you might not even think of into different languages while maintaining the documents’ original format. eLearning then became the next venture when clients start to engage us for self-paced eLearning courses to teach them about music transcription know-how. We also do eLearning for technical content such as engineering training courses for various industries.